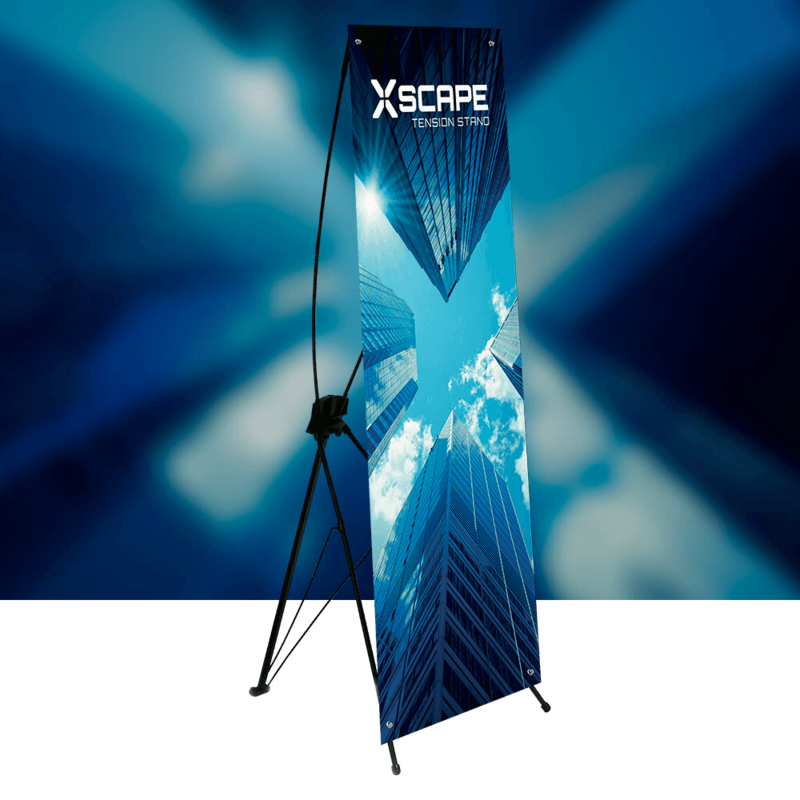 The Xscape is a great portable indoor banner display unit. The tension system provides the required impact for the majority of your retail and presentation needs. Although the Xscape does have a larger footprint than roller banners and does require a little more assembly, it does have the advantage that the graphic in this unit is easily changed making it extremely cost-effective in the long-term. We print the graphics for the Xscape on the same 400gsm SoFlat material that we use in our roller banners, so you know you are getting the same durability and light-stop characteristics as you would with a roller banner. The whole system is lightweight and comes with its own carry bag making it very easy to transport.